Somewhere along the ride my working life took over and the old girl was just sitting in the garage. I know she needs a lot of TLC to recover to former glory so I decided to make it a project. The pictures are about 20 years old and it has been a lot of wear since. I'm going to read many old posts here and occasionally ask many stupid questions. (04-14-2015, 11:06 AM)NorWing Wrote: I own a GL1200 Interstate from 1986 and been the second owner since 1987. You may say we are kind of familiar with each other by now I know she needs a lot of TLC to recover to former glory so I decided to make it a project. Good luck with your project. The bike looks very nice in the pictures. Where in Norway do you live? 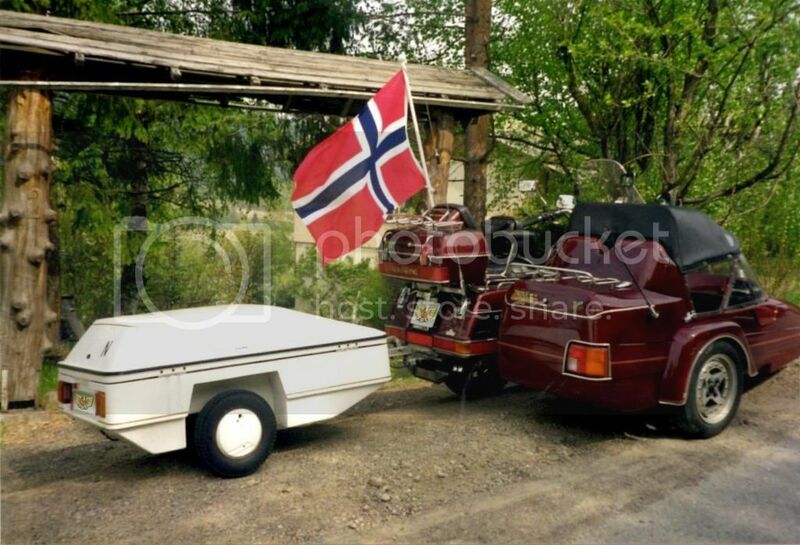 I used to have a friend who lived in Kristiansand (unfortunately he past away two years ago because of heart failure) who also had a GoldWing, a GL1500. 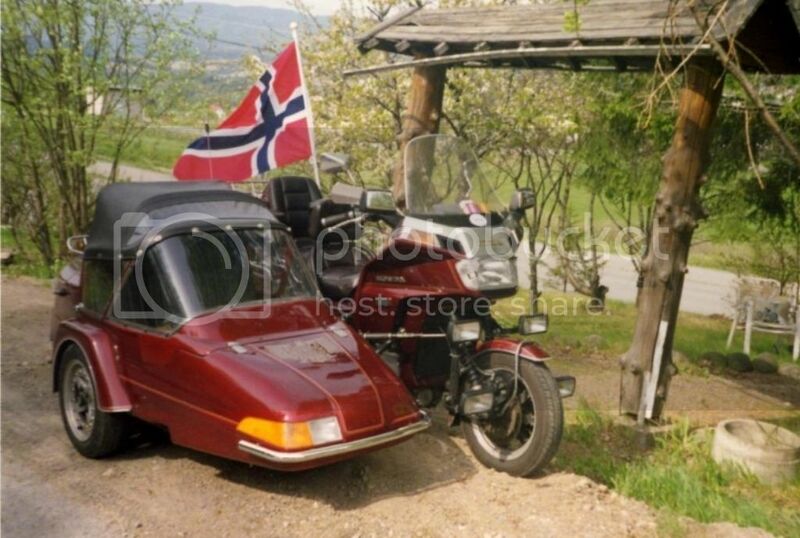 Norway is a beautiful country to ride on a motorcycle (in summer ) I am sure you will enjoy riding the 1200 again ! I look forward to make the 1200 ready for use again. Since it is a veteran next year I have decided to keep it. There are so many memories connected to it so I never really tried to sell it. I am pretty sure that I'm still the donkey when it comes to equipment we need on tour. Welcome back to the GL1200. I too, am the second owner of my '84I, although I have not owned mine as long as you have owned yours. I use mine for a daily 64 mile commute so I am 'familiar' with mine. After an external alternator, t-stat, head gaskets, water pump, cam oil seals, crank main oil seal and numerous little 'upgrades', she has taken me 41K miles since she came to live with me. She currently is pushing 150K miles and gives back a consistent 42 miles/gallon. They are a great design. "No matter how blue life may get always remember that there's a rainbow in the sky." "Grab life by the handlbars an hang on."